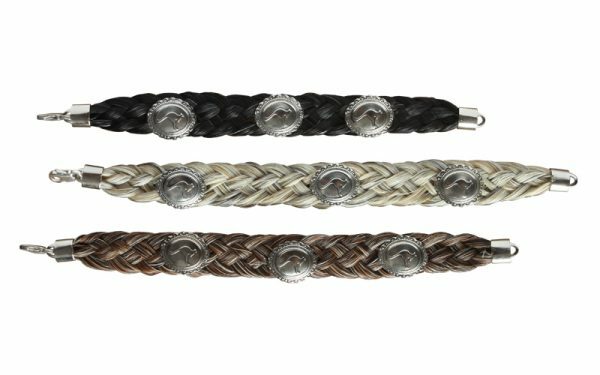 These Cowboy Collectibles bracelets are handmade with assorted combinations of horse hair colors. Each bracelet accented with silver conchos that feature the roo logo. The bracelets are finished with a sturdy metal clasp.